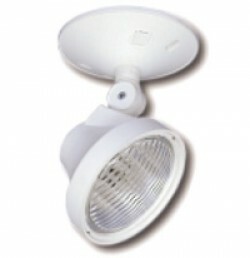 12V plastic emergency lighting unit. 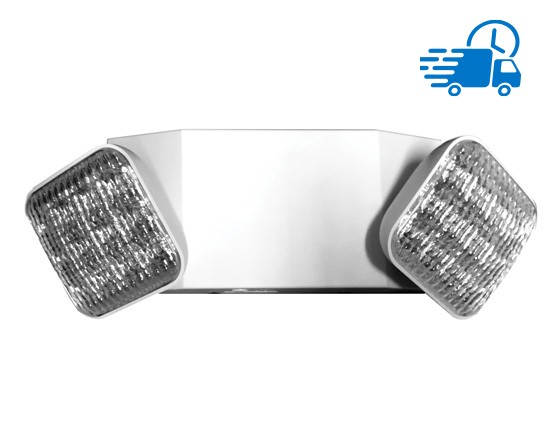 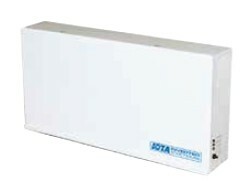 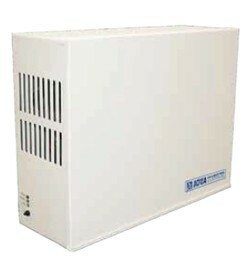 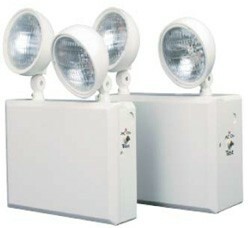 50 or 100 watt models. 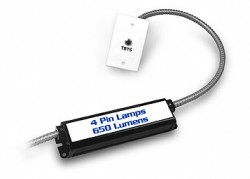 6V or 12V remote lighting heads. 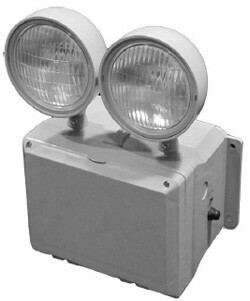 Single head or double head styles. 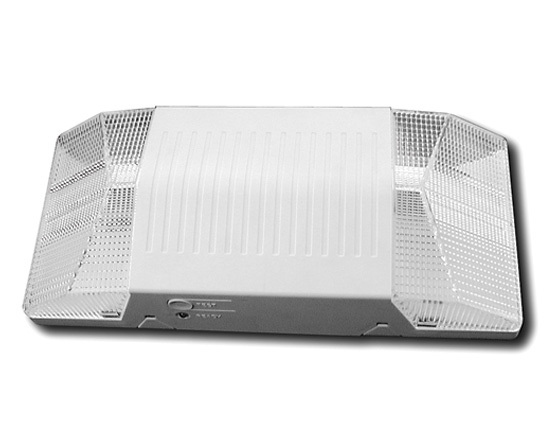 Diecast alum. 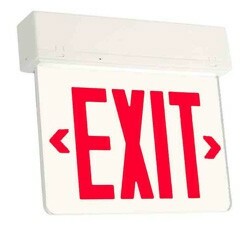 LED exit sign. 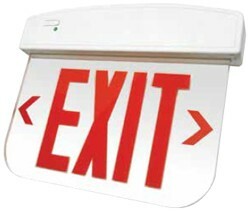 Edge lit LED exit sign. 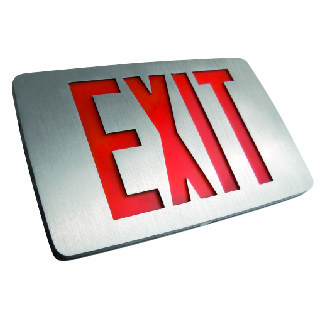 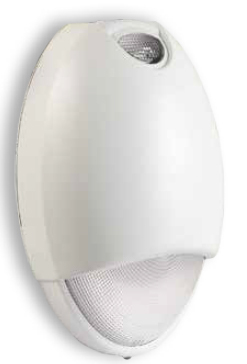 Nema 4X rated LED exit signs. 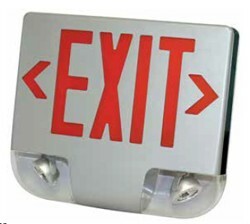 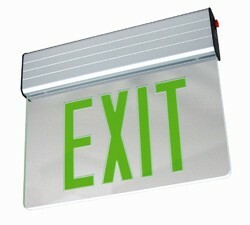 Plastic LED edge-lit exit sign. 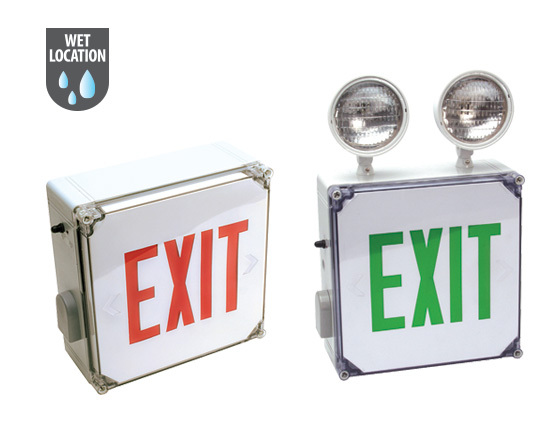 6 volt wet location emergency unit.